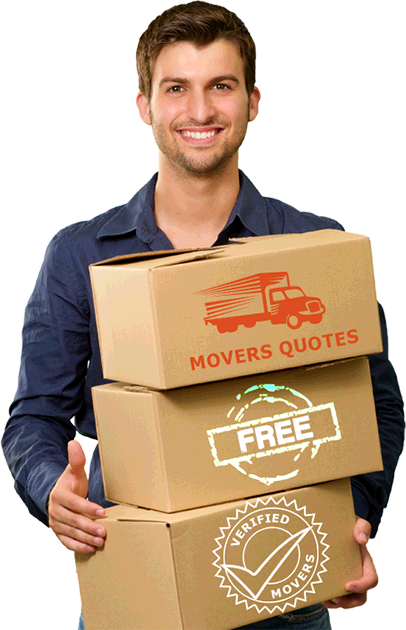 5 Movers Quotes is a fast online moving quotes solicitation for the residential, commercial moves, short or long distance moves, whether in the metropolitan area that encompasses the Toronto, Ottawa, London, Whitby, Kitchener, Niagara Falls, Ajax Cornwall. We have partner movers throughout Ontario. Need a mover for in a few weeks or in an emergency? In partnership with professional and established movers, this website offers you from 3 to 5 moving quotes by email or phone to your preference, within 24 to 48 hours after the transmission of your information. Just pass information for a move through a short form on the website. Then, this data is instantly sent to our team and then transmitted back to 3 to 7 movers in the region or regions of the move. The requests are also routed to specific movers based on the criteria of the user. Depending on their availability, they decided to bid or not by contacting you directly by email or phone. Immediacy. The movers bid within 5 minutes to 36 hours of receiving your information. Quality. The network of movers meet predetermined criteria. They are professional, experienced and well equipped. Good prices. Regularly, our team ensures that quotes from the movers are reasonable. The competition between the partners is healthy. Free. This service does not commit you to anything since it benefits both the movers and the clients. Our partners cover the needs in moving and transport of all kinds, whether its residential, commercial and industrial. Our mission is to connect people who move with movers that suits them so that their decision is taken easily. By allowing you to focus quickly on other aspects of planning your move, it may take place with a minimum of stress. We know that moving messes lifestyle and we want to help you and guide you through this important event and contribute to the success of local companies. 5 Movers Quotes (launched in 2015) is an initiative of Oolong Media Inc., a Quebec Web agency specializing in SEO, ranking website on first page of Google and the creation and redesign of websites for local businesses. The project succeeds to Find Your Mover, which had some success in previous years and which was managed by one of our team members. It includes web strategists, programmers, integrators, designers, ergonomists, web editors and project managers. The company has the expertise to expand large-scale network and is constantly looking for new quality movers to join it. We manage similar to this networks.